Writer James Kettle created this one-man show based on the life of actor David Tomlinson specifically for comedian Miles Jupp – and it's easy to see why. Kettle says he saw similarities between Tomlinson, best known for playing Mr Banks in Walt Disney's Mary Poppins, and Jupp, known to television audiences for Rev, Mock the Week and The Durrells. In The Life I Lead the two become synonymous. Jupp has Tomlinson's accent and his mannerisms down to a tee – within minutes of him stepping on stage, we believe we are inside the life of Tomlinson. Jupp plays Tomlinson throughout, talking to the audience and taking us through his stories – and we discover what a remarkable life he led. Although best known for Mary Poppins, Tomlinson had a hugely successful career in a host of hit films including Bedknobs and Broomsticks and The Love Bug while also playing roles on stage and on television. But Kettle has done his research and weaves into Tomlinson's thespian stories tales from his life. This sees Jupp both remembering and recreating scenes from his past including meeting his wives, dinners with Disney, training in the air force and backstage secrets. But central to this life is his difficult relationship with his father. Known to his family as CST, Tomlinson's father was authoritarian, distant and duplicitous – as The Life I Lead reveals with shocking candour. Determined to learn from his father's mistakes, Jupp's Tomlinson talks freely about his own sons and how precious they are to him. Indeed, when one of his sons is diagnosed with autism, Tomlinson and his wife are determined to give him the best life possible and find an 'angel' to help him learn to communicate and relate to other people. 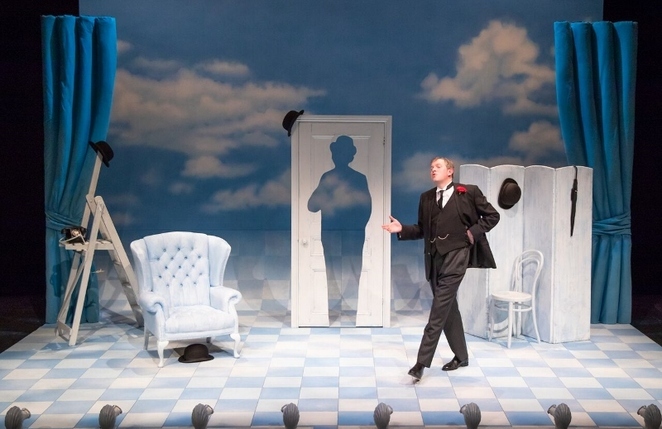 Jupp is thoroughly convincing at Tomlinson, his affable and self-deprecating nature quickly win him friends in the audience so it's hard not to like the actor who was best-known for what he called his 'dim-witted upper class twit' roles. He's helped by a wry and informed script by Kettle which prompts plenty of laughter but also ensures the pathos and indeed the tragedy also comes through the humour. Kettle's Tomlinson is a fully rounded figure who, after nearly two hours, we feel we've come to know. Lee Newby's stage designs are ingenious. His set is heavily influenced by the Belgian surrealist painter Rene Magritte who famously painted numerous depictions of faceless men in bowler hats – the signature of Mr Banks. 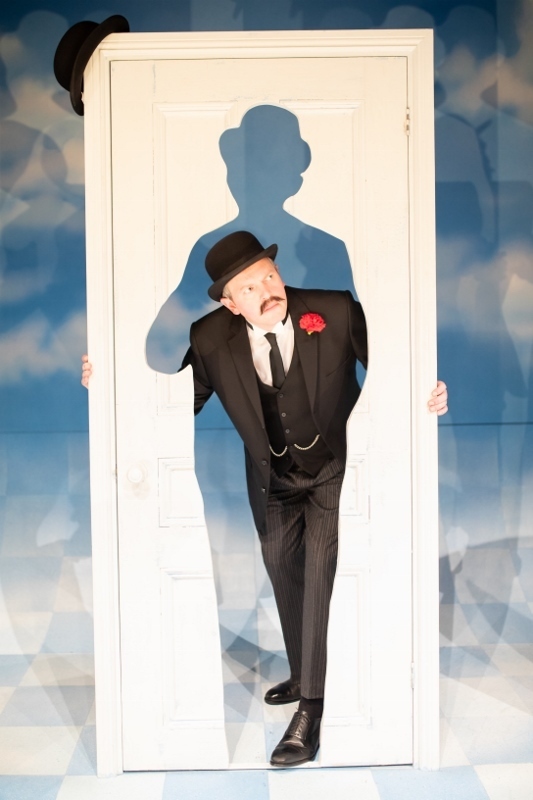 The set picks up the blue skies with white fluffy clouds, bowler hats strewn across the room and the door through which Jupp's Tomlinson first enters has a cut-out of a figure wearing a bowler hat – all images from Magritte's work. Directed by Didi Hopkins and Selina Cadell, the show is produced by Exeter Northcott Theatre and Jonathan Church, former artistic director of the Birmingham Repertory Theatre. Staged at The Rep's Studio space, it allows the audience to enter into Tomlinson's home and life – the only downside is that it's only staged there for three nights – March 11-13.